Quick quiz: You're in the need of a new high-end foundation — where do you go? If you answered Sephora, then congratulations! You're probably a person. The chain of cosmetics stores launched their first U.S. store in 1998, and makeup has never quite been the same. They have more than 1,300 stores in 27 countries, are the most popular beauty retailer on the Internet, and, in recent years, have become synonymous with "makeup store." On the most basic level, Sephora didn't do anything that department stores hadn't done before. They sell high-end products from various brands, all under one roof. But Sephora offers an experience unlike any other, and manages to appeal to both the makeup aficionado and the woman whose just popping in to pick up a mascara. When you walk into Sephora, you're greeted at the door, handed a bag, and asked if you need help. If you say yes, a knowledgable sales associate will walk you through the store. If you say no, you can mosey about at your own pace, and no one will bother you. Unlike at a department store where you're asked if you need help every other moment, Sephora allows customers to take their time and highly encourages trying on products. 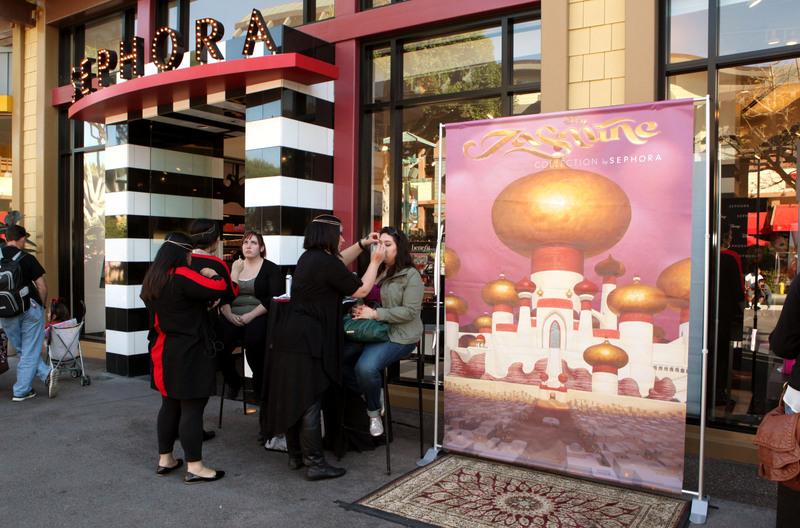 The daunting and often intimidating world of high-end makeup suddenly becomes far more approachable under the fun, laid-back setting that Sephora has designed. Today, Deborah Lippmann announced they'll be launching a Sephora Nail Collection. Lippmann founded her eponymous line of nail lacquers in 1999, but has not merchandised her products in Sephora stores previously. She told WWD, "a lot of people think I'm already in Sephora, since it's the place to shop for indie brands." Lippmann is just one of the many indie brands that Sephora has taken on in recent years. Although they used to only house big-name brands like Clinique and Estée Lauder, they now carry smaller brands, as well. Scooping up these lesser known brands is helping Sephora expand its reach and become even more powerful. It used to be that you'd go into a boutique beauty supply store to get your hands on indie labels, but now you can shop for them at Sephora. Ricky Kenig, the founder of New York City's chain of cosmetic stores Ricky's, recently told Fashionista, "Sephora's at a whole other level. I don't think anyone can compete with Sephora." Well, not as long as the brand keeps expanding its reach and presenting high-end makeup in an approachable way.